Yeah, so I have started watching cartoons again. 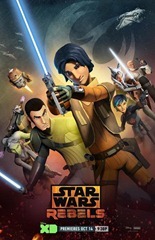 It must have been at leat 30 years since I last watched cartoons on my own, but now that I am developing a healthy new Star Wars obsession to replace my Dragonlance obsession, I have been watching Star Wars: The Clone Wars and Star Wars: Rebels. The Clone wars has been around for a while, and throughout the past couple of years my oldest son and I have been watching snippets on Youtube. He seems to have lost interest a little bit, but when the series became accessible on Netflix, I jumped on it like white on rice. We are definitly watching cartoons here, but it is pretty interesting to see some of the missions that occur before Revenge of the Sith. It surprised me a little bit that there were actually some pretty good story twists. I am a big fan of Ashoka Tano, who is not in the movies. However, she seems to play an important role in exploring Anakin Skywalker and what leads him to become a Sith. I think her character is so strong that she pretty easily step out of Anakin’s shadow and become a fully fledged character in her own right. Some people must agree since she return in Star Wars: Rebels. Having finished the Clone Wars, I am now watching Star Wars: Rebels. 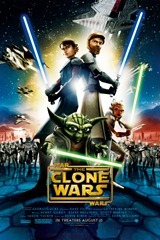 Apparently this show has about one third of the budget Clone Wars had, it is a solid storyline and well worth watching. We get to explore a lot of the things that happen between Revenge of the Sith and A New Hope, which fits very well into the overall storyarch. Both shows fill in some of the gaps, which is what I had hoped Dragonlance would do to the same extent. as it is, we get a really good feeling of how the galaxy far far away was ran during the Empire’s heyday. It also seems to be tying the prequels and the original trilogy together in a meaningful manner. As for the new trilogy, there is also some tie ins as far as I can tell. If you check out some of the promotions for seson 2, Ezra Bridger holds a very familiar looking lightsaber in one of the shots. Pretty cool. Maybe we will even get a hint or two about Snoke if we’re lucky. So, Star Wars is quickly becoming my substitue for Dragonlance. It’s almost like quitting smoking but drinking a lot more coffee. A lot less dangerous of course. There are a lot of reviews online, so I am not going to rehash something someone as written much better than I ever could. However, I will say that I like the movie quiet a bit. It seems somewhat different when compared to George Lucas’s version. There’s a lot less animation compared to what they din in the prequels, which were quite ubiquitous. In my opinion it makes the movie feel grittier and more personable, but it also leaves me with a feeling of things being over and done with. The old Start Wars feeling is replaced with the new Start Wars feeeling, and that will take a little getting used to I think. Anyway, really good movie, I highly recommend it.